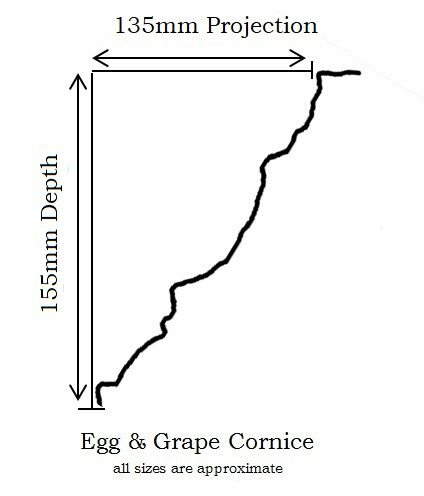 The Egg & Grape Cornice features a repetitive oval pattern with small darte inserts between the ovals and is available in the standard cornice length of 1840mm. 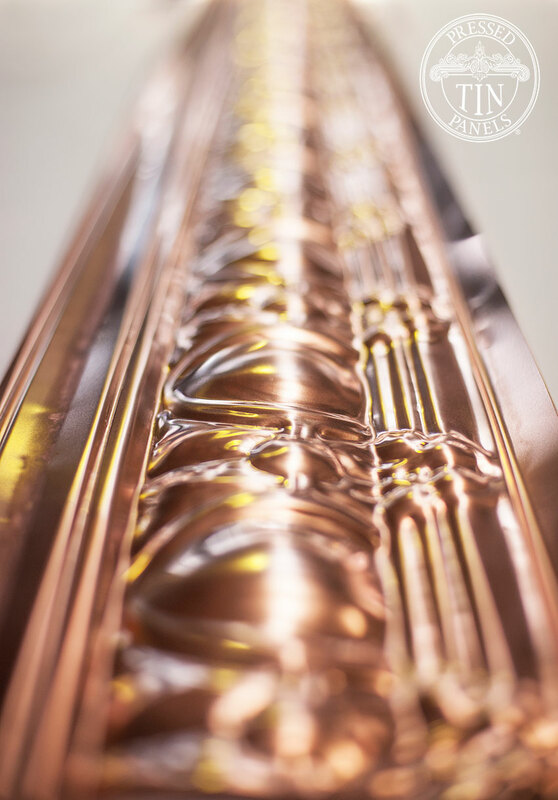 The Egg & Grape Cornice is now available to be pressed in mill grade copper for a stunning ceiling effect! 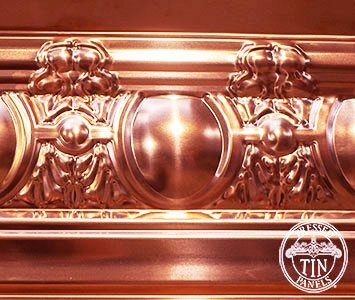 It can be matched with any Pressed Tin Panels® copper panel design. 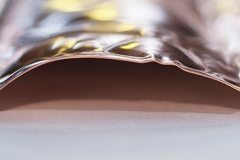 It can be left un-coated to discolour over time or please read our Panel Coating Information on clear coating in order to retain it’s natural shine. 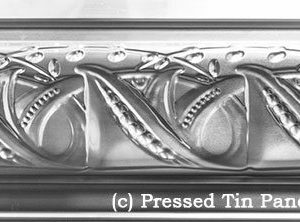 Click here to view the Egg & Grape Cornice pressed in aluminium. 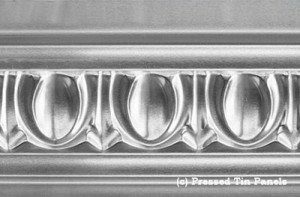 For comparison of the cornice profiles of the design, against the other cornices, please click here for the Cornice Profile- Actual Sizes. 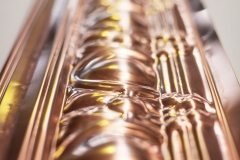 Please note that all measurements given are approximate and all cornice projections and depths can be manipulated for individual requirements. 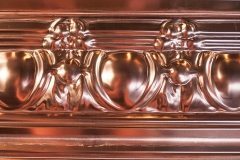 The cornice is made from a specialised, mill grade copper that is approximately 0.55mm thick. 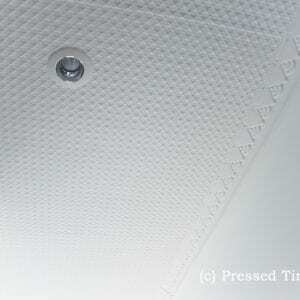 Please note surface scratches may be present as a result of the manufacturing process.